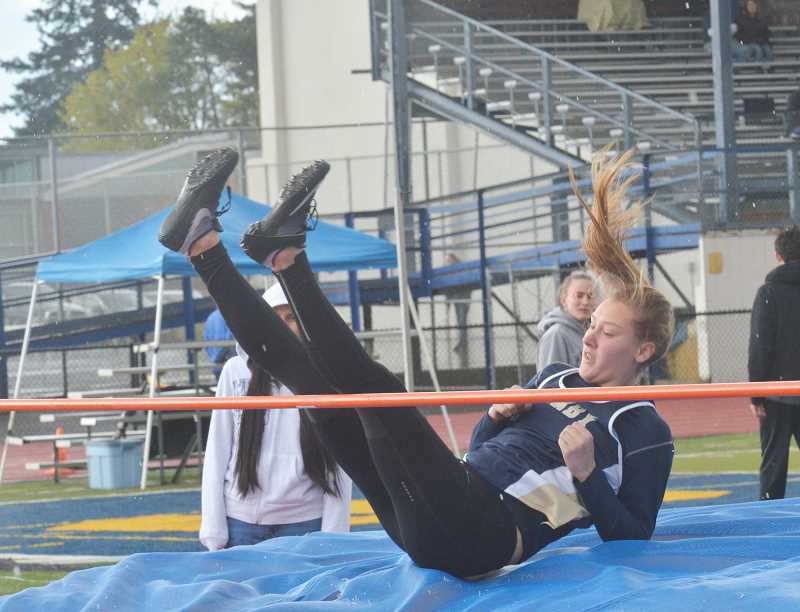 It is going to a rebuilding year for the Canby track and field teams. Across the board, graduation and athletes jumping to other sports has left the Cougars boys and girls teams thin on the board. On the boys' side of things, four of Canby's top five racers in the 100-meters and 200-meters races graduated; standout Neal Cranston graduated, leaving a hole at the top of the 400-meters race, relay, 800-meters, and 1,500-meters race. In the field events, fewer athletes have graduated for Canby's throwers but there is enough turnover that the Cougars will need to seek a new face to lead them. The place where the boys' team was hit hardest though was in the jumps. Four of Canby's top five high jumpers graduated after last spring, and five left in the long jump. It will be a tough out for the Canby boys' team. However, it is not all doom and gloom. There are several returning athletes that will lead the boys' team forward. Particularly, the distance runners, according to longtime head coach Tom Millbrooke. "The distance runners are probably our experience," Millbrooke said. "The ones that did track last year, that did cross country, they're the ones that are going to have to be our leaderships starting now." Specifically, senior Tristan Oakes, junior Cole Thomas, and sophomore Matthew Powell, who competed for Canby's cross country team this past fall and ran very well. Outside of the distance runners, senior Ty Leder returns to lead the charge in the pole vault, and competed in the long and triple jumps last year. Canby held a mock pentathlon to gauge where new track athletes would find their spots on the teams. After the event, there were some positive results. Junior Tristan Ramirez, a football player, took first place with an 18'7" mark, followed close behind by junior Canby quarterback Trent Wakefield with 17'6". For Millbrooke, those marks are representative of a great amount of potential. "Trent Wakefield has never done track before, Ramirez is a football player," Millbrooke said. "A lot of these kids, what I have to emphasize with them now is that this is just where they're starting. These guys at the end of the year are going to be faster than those guys." The potential is there on the boy's side. For the girls, there is also a fair amount of turnover, but not without hope for the future. In the 200-meters race, top five racers Kyra Mull and Autumn Loveland graduated, and also vacate their spots in the 400-meters race and relay; Mull also leaves a space in the 800-meters and 1,500-meters; in the 3,000-meters race, three of Canby's top five finishers last year were seniors. Much the same with the boys team, Canby's girls team will be led in part by its distance runners, specifically Canby sophomore Izabela Kacalek and senior Ashley Ambrose. In the field events, two sisters will help to helm the team. Senior thrower Katie O'Dell and all-around athlete and sophomore Ally O'Dell will be leaders on the team. The O'Dell sisters were until recently on Canby's successful girls' basketball team. "Ally O'Dell will be one of our top female athletes," Millbrooke said. "She won the girls pentathlon. Real good all-around athlete. She had the misfortune of turning her ankle right before the end of the season last year and didn't get to compete. Katie O'Dell I think is coming out. We haven't seen her yet but you know girls basketball just got over. Katie would be our top thrower." For Millbrooke, the teams would be stronger with a middle school program but he is making due with what he has. In fact, he relishes the role of improving his charges over the course season. That's part of the beauty of competing in track and field. "It makes it a challenge, but we have a lot of good kids," Millbrooke said. "The nice thing about track is they can improve. There's only one winner, but every kid can PR, get better, learn good work habits. I see my job as trying to help everybody get better. By the end of the year, we need to be better than we are now. It'll be a challenge, but it'll be fun."